Recording dates: 4 and 5 July 1994. Say the name Charlie Byrd and most people immediately think of Brazilian music. Charlie has earned a place in music history for introducing a wide audience in the United States to the sound that came to be known as bossa nova. In 1962, the guitarist went into a church in Washington, D.C., with his regular group - augmented by saxophonist Stan Getz - to record an album that's become a classic: Jazz Samba. Many people think the record was Getz's - but it was Charlie's date...his wife Ginny had the idea of asking the saxophonist to join the group. One of the Antonio Carlos Jobim tunes on the album, Desafinado, went to the top of the charts. It's a testament to the late Brazilian composer's music AND to the playing of the musicians that a 5:47 instrumental struck such a chord with listeners that it was played regularly on Top 40 radio right alongside of the 3:00 pop songs of the day. Charlie and his trio pay tribute to Jobim on this recording, with a performance of the composer's So Danca Samba. Check out Joe Byrd's bass playing...both his solo and the way he opens the tune with a figure that sounds like the melodic phrase from John Coltrane's A Love Supreme. Charlie Byrd does a LOT more than play Brazilian music, though, he's steeped in the blues AND he sings. This recording will give you a taste of both. Charlie grew up in the Tidewater area of Virginia and started out playing country blues with his father and his friends in rural string bands. He was playing with a pick then...he didn't switch to the finger-style technique for which he's so well-known today until he studied classical guitar with the legendary teacher, Sophocles Papas, in the early 1950's. Charlie was one of the first... and certainly one of the most successful...to play blues and jazz using classical technique on a nylon string guitar...it's NOT easy. The blues informs Charlie's interpretations of the Ellington tunes he plays here. Charlie has always liked to sing. That's one of the reasons he wanted to make this recording. He's only been featured singing once before on record - on one of his old Columbia albums. His singing voice is just as sweet and soft and tinged with his lovely Southern accent as his speaking voice. It's just right for such songs as Blue Skies and Gee Baby, Ain't I Cood To You? The other thing that Charlie wants to do with this record is spotlight his regular trio. Charlie, his brother Joe, and drummer Chuck Redd have been working as a tight unit for 14 years...yet they haven't been recorded that much. Joe is an excellent bass player who also sings (though not on this recording) in a style that recalls Mose Allison. Chuck Redd is one of the most respected young drummers on the D.C. scene. He's got big ears - you often see him at the clubs, after he's finished playing his own gigs, checking out the other musicians. 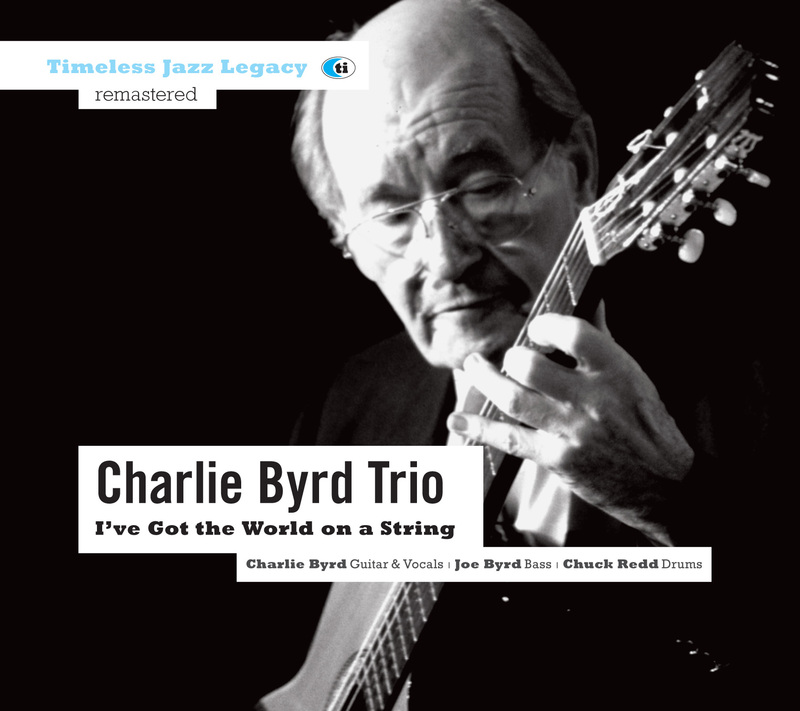 It's always a pleasure to hear the Charlie Byrd trio...and it's often a surprise. Even if you know his music well, you sometimes slip into making that instant connection: 'Charlie Byrd = Brazilian music.' It's a treat to hear... again...how much else he can do. Gee Baby, Ain't I Good To You? Charlotte Haesen en Philip Breidenbach will release their EP on May 17!